Millions of Americans currently suffer from allergies, and the rate is growing. Climate change, globalization, air pollution, and oversanitization of the environment in the early years of life are just a few of the causes that, taken together, have introduced new allergens into our environment that are wreaking havoc and causing needless suffering. 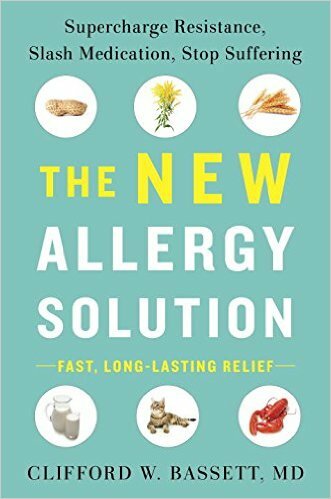 This “new allergen marketplace” requires a new allergy solution. According to Dr. Clifford W. Bassett, traditional remedies focus on treating symptoms but leave allergy sufferers vulnerable to continued bouts of misery. Dr. Bassett argues that when we consider a person’s genetics, environment, and overall health, we can more effectively identify—and take appropriate action to forestall—symptoms before they even begin. 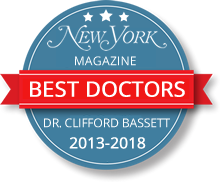 For the first time, Dr. Bassett presents the unique, integrative approach he’s used in his Manhattan offices for two decades to vanquish allergy symptoms for countless individuals. In addition to explaining what allergy is (and isn’t) and identifying key triggers—from nuts to gluten to the nickel commonly used in cell phones—Dr. Bassett offers both medical and nonmedical alternatives to treatment, and specific, proactive steps to protect against common allergens. Allergens are here to stay, but with The New Allergy Solution, your life need no longer be ruled and ruined by allergy. The New Allergy Solution strives to enhance your well-being through strategies for a greater sense of control, giving you more freedom to do what you love. 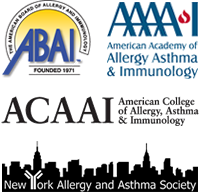 Clifford W. Bassett, M.D., FACAAI, FAAAAI, is the founder and medical director of Allergy and Asthma Care of New York. He serves on the faculty of the New York University School of Medicine and the Weill Cornell Medical College, and is a clinical assistant professor of medicine and otolaryngology at SUNY Health Sciences Center in Brooklyn. 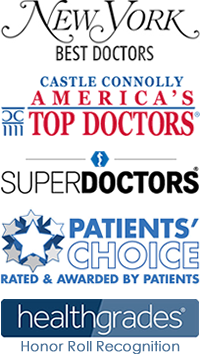 Heralded as “America’s Allergist” by Dr. Mehmet Oz and one of U.S. News and World Report’s Top Doctors, Dr. Bassett is featured regularly on and in local and national media outlets, including CBS This Morning, Today, Good Morning America, NPR, The New York Times, and Time. He lives in New York City.